Ryan and I both have the next week off work and are planning a staycation (a vacation where we stay close to home or only travel within the UK). This is mostly because we have a big convention coming up on the 19th March and need to save for that, also Ryan doesn’t have a passport! Here are a few things we’ve been thinking about doing next week. Get away from the world by keeping our use of electronic devices, especially mobile phones to a minimum and spend time with each other. Plant a new house plant or a windowsill herb garden (we don’t have a garden but if you do, get outside and plant something). Dust off the board games and decks of cards. We have so many board games but never usually have time to play them. Monopoly, Cludeo, Mouse Trap, Uno etc. Have a cocktail party or a pizza party – Socialise! Camping in the garden. I’ve said before that we don’t have a garden ourselves but I really like this idea and have done it before with friends and also at my parents house as a child. Helpful tip: Keep chores to a minimum. Do enough to keep the household afloat, of course, but steer clear of heavy cleaning or organising (unless you find that kind of thing relaxing, I actually like sorting a wah load and putting it in the machine! Lol.). Living in the Cotswolds, there are so many museums, parks, wildlife parks and nature walks around and we plan to visit some of those. We’re also a pretty short drive from a couple of citities: Gloucester, Oxford, Bristol and Bath. 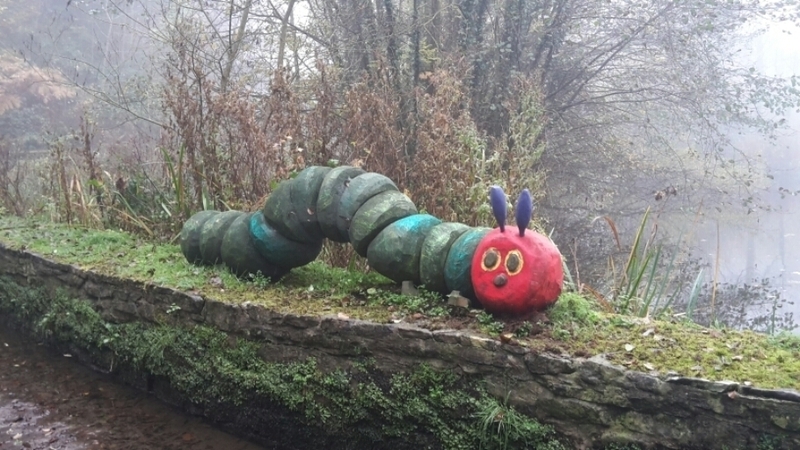 The Very Hungry Caterpillar woodland trail – Forest of Dean. Eat at a local café or restaurant. Bike to a park and have a picnic – Cirencester has three parks we could visit and there’s also The Cotswold Water park and lakes nearby too. Take in some local theatre – There’s a few feature options available to us (Cirencester’s Sundial Theatre and a few in Cheltenham, e.g. The Everymann Theatre. Go bowling or catch the latest blockbuster at the cinema. We’ve both been wanting to see Alleigant. Tour a local brewery – there’s two I can think of near us. One is actually near where I work so within cycling distance and the other is a 15 minute drive away. Play outside – Fly a kite, go for a walk or hike, go for a bike ride, have a picnic. Ryan likes football so we could even go for a kick about in the park! Visit family and friends. We’re going out for food and drinks with a couple of friends who are also coming to the convention with us on the 19th March and have made plans to visit both our parents. Any other ideas? Have you ever had a staycation? A staycation sounds wonderful! Sometimes I’d rather stay at home and relax than spend the effort and time traveling. I mean, I do like traveling, but it can also be a bit stressful! I like all the ideas you have listed, especially the idea of a home spa day and visiting local attractions and restaurants. I’ve been living in my city for such a long time and still haven’t seen so many things. 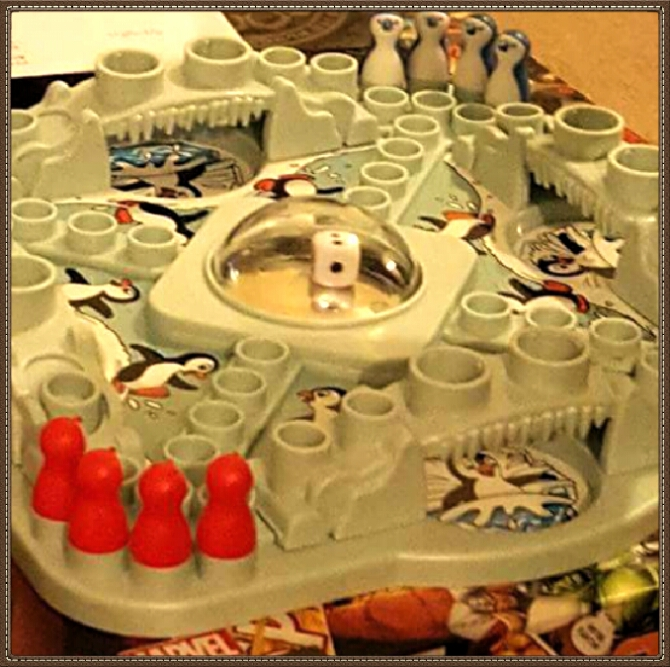 That penguin style Ludo board game is so cute, by the way! I’ve never seen that version before. 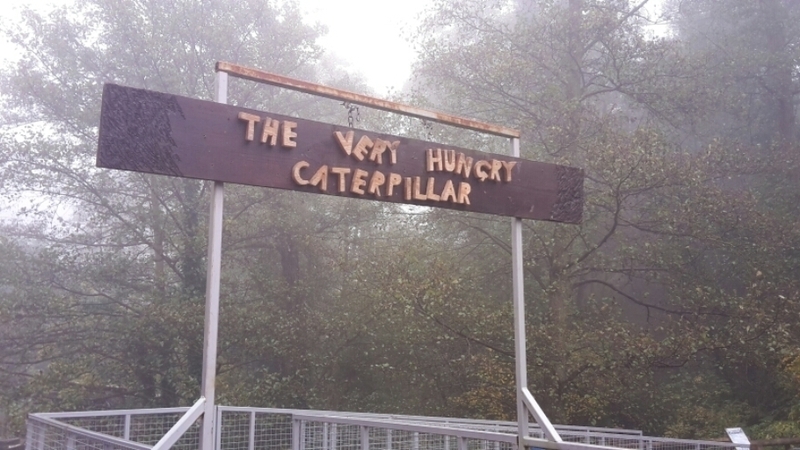 That’s also cool that there’s a Very Hungry Caterpillar trail. I’ve never done a staycation before and just try to make the most of my weekends. I hope you had a great week off of work!